Simon Kettle is a Chartered Building Surveyor with a passion for building and sustainability. 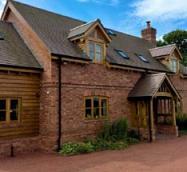 His own home, built from locally sourced green oak uses passive solar and ventilation design to minimise energy use. 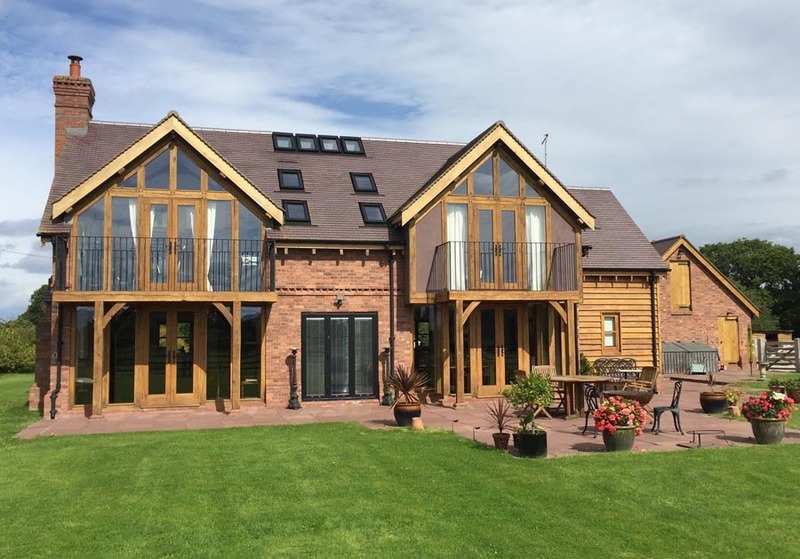 It is set within a 6 acre plot in rural Cheshire and one of Simon’s key objectives was to create a building that would blend into its surroundings and look as though it was always meant to be there. “I have a very keen attention to detail and it's the little details that make all the difference for me," he explains. "I wanted to create a traditional look and using traditional materials was absolutely key." 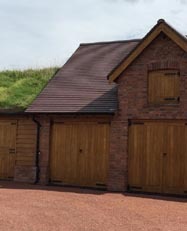 Simon chose Furness Brick’s Chapel blend which has a variety of clay tones and needed to find a clay roof tile that would compliment those mellow shades. Simon used a Flemish bond to expose more of the variety of colours in the brick and tie the brickwork in with the natural blue brindle clay roof tile. "It’s a very subtle effect that you wouldn’t necessarily notice but it all adds to the final look of the house as the blue shades in the brickwork relate well to the blues and purples in the rooftiles." 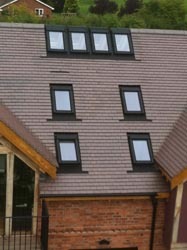 We also think the tiles look good next to the green roof above the stable!